Are you looking for a practical smartphone? Have an amazing one at less cost. Find out more here. There’s a new ‘selfie smartphone’ in town and it is expected to amaze local consumers not just for its camera features but more for its reasonable price of P6,490. 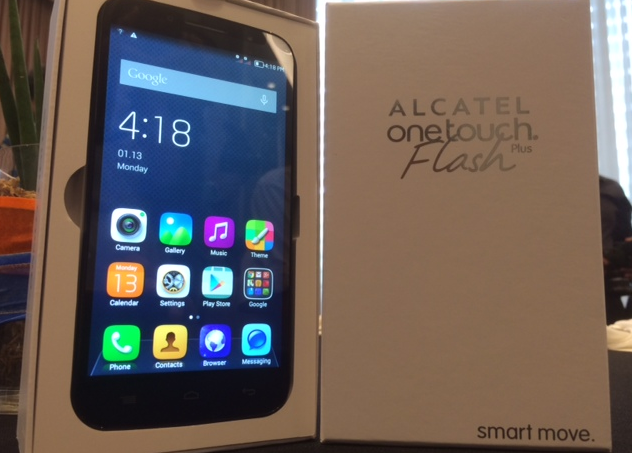 Alcatel One Touch has announced the release of its Flash Plus model on May 15 (Friday). In a media statement, the smartphone maker said the new model was developed and built specifically for selfie addicts and mobile warriors. The Flash Plus is an ideal device that eliminates the need to have a separate camera when using a phone. For entrepreneurs who can’t wait to have this reasonably priced amazing smartphone, Alcatel One Touch’s Flash Plus will be available online and exclusively through Lazada.com.ph, beginning May 15, at exactly 12 noon. It will be delivered for free nationwide. Of course, you can opt to buy it using a credit/debit card or pay for it on a cash-on-delivery basis.